YouTube is no longer offering its ‘Originals’ content as a part of its YouTube Premium service. This marks an unsurprising departure from big budget productions and another dead end. For a long time, YouTube has been investing heavily in original shows. The productions ranged from dramas, comedies, reality tv, docuseries and even featured movies. Since it began, however, YouTube has only renewed a few shows from the dozens that were created. These shows were not available to the typical YouTube user but came at a premium price through the company’s “YouTube Premium’ service available for $12/month. The plan was to compete with the likes of Facebook, Netflix, and Amazon, all of whom were coming out with a slate of their original budgeted content. It may seem as if ‘Originals’ are being cancelled for good but shows such as Cobra Kai are getting renewed and the Doug Liman-produced Impulse is still a ‘go.’ With just a few pieces of premium content available on the platform, YouTube is shifting its strategy. Though YouTube has remained mute on whether a Premium ad-free subscription tier will continue to be available, it is clear there will be less reliance upon it for revenue. This should come as no surprise to most analysts. Since its creation in October 2015, the original programming YouTube has produced has only delivered one hit, Cobra Kai. Even back in February Susan Wojcicki, the CEO, referred to the subscription service as “really a music service” despite the growing number of more expensive shows. It was announced shortly after that the budget for Originals would remain flat for the next two years. At the time it was estimated to be in the “hundreds of millions,” which is dwarfed by the budget of its rivals. Netflix, according to Goldman Sachs, is spending $12 – 13 billion this year on content and Amazon is spending $4.6 billion. Outclassed and outspent by the competition it seems premium will not be the way to go for YouTube’s original content. But if not there then where? And how will they make money? Is Free the way to go? Google frequently puts its bets in many categories when coming up with a business plan so its no surprise it imitated the premium models of other SVOD services. However, this leaves us with the question about what do they plan to do now? 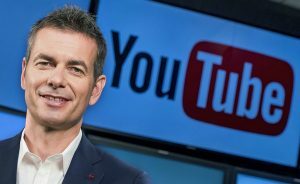 According to Robert Kyncl, Chief Business Officer, “if you look at our originals over the last few years, our main goal was to drive subscribers to YouTube Premium. But through experimentation, we’ve also learned that we can make a lot of the projects work incredibly well when we make them available free to users.” He said a number of advertisers have expressed interest in sponsoring Liza Koshy’s Liza On Demand. Though YouTube has the largest audience of any internet video service, it remains to be seen if a large profit can be made from its ads. 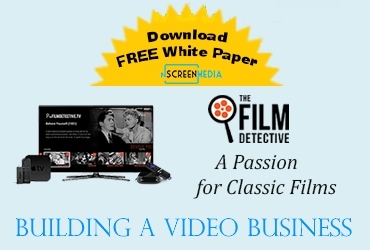 Current calculations done by nScreenMedia indicate that the ads are far less lucrative than those featured on Broadcast Television. Whether or not a large amount of money can be made with the free ad supported model, it appears this is the only business model YouTube has to work with right now.